I sure hope that this family does not have children because they just got some serious competition for the will. 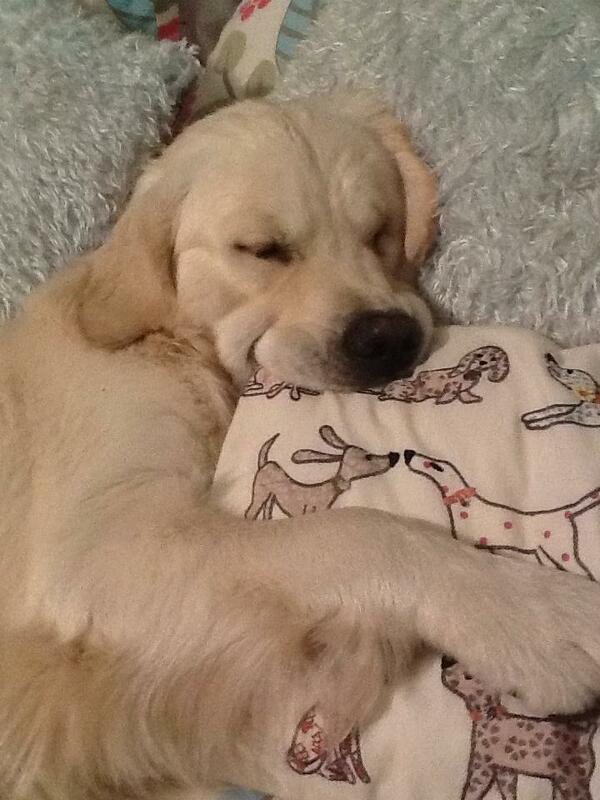 The poster on Reddit noted that this dog will not go to sleep without chewing on a blanket. So, Hobby Lobby didn’t make the cut? Chick Fil A? I agree with Carol. Our Will gives all the money and assets to dogs, cats and owls– three different rescue centers. My cats are in my will. I felt the need to put in where I wanted them to go if I predecease them. Actually, my pets are in my will. No kids, so everything I have goes to the care and comfort of the little critters with whatever is left after they go to a couple of local shelters. What? I should leave it to my nieces and nephews who can’t be bothered to send thank you notes? I don’t think so. That dog is so cute, the color of the coat is just beautiful. To be honest here, the dog is not that cute. I love my dog, but she is not in the will.